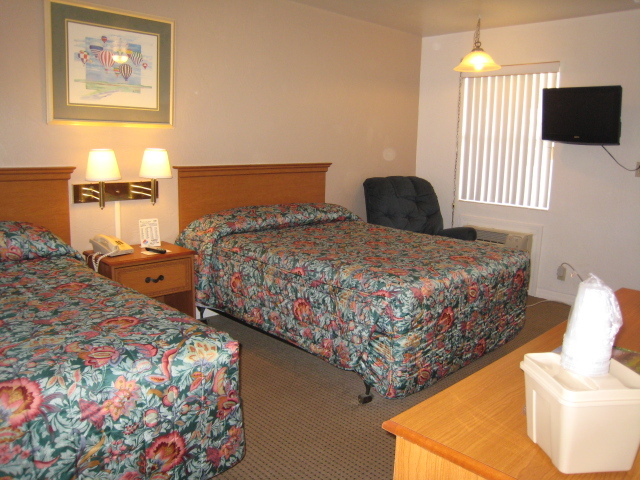 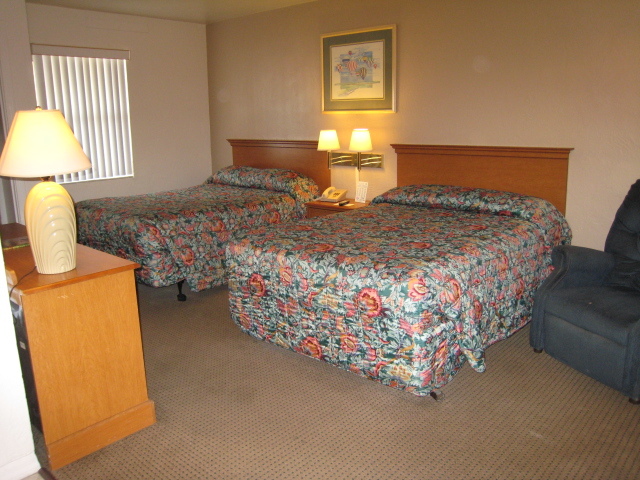 Max Occupancy: 4 Room with 2 full size beds, easy chair, closet space and ample drawer space. 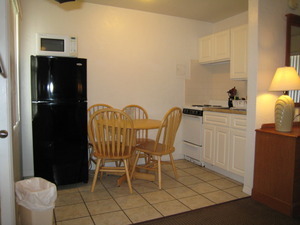 Eat-in kitchen has table with 4 chairs, stove, full size fridge and microwave. Kitchen stocked with coffee maker, toaster with cooking and eating utensils. 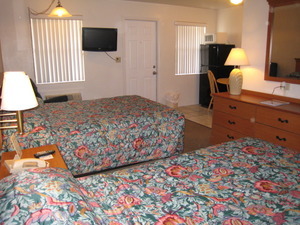 Extended cable TV with HBO and dedicated climate control.